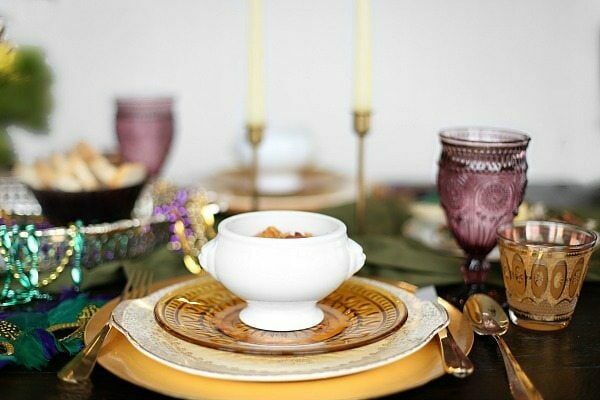 Entertain with a Mardi Gras Inspired Dinner Party Menu to celebrate the occasion in style! If you’ve ever been to Mardi Gras, but you’re a little past the “party” stage, why not bring the experience home with a more sophisticated dinner party that celebrates some of New Orleans finest dishes. 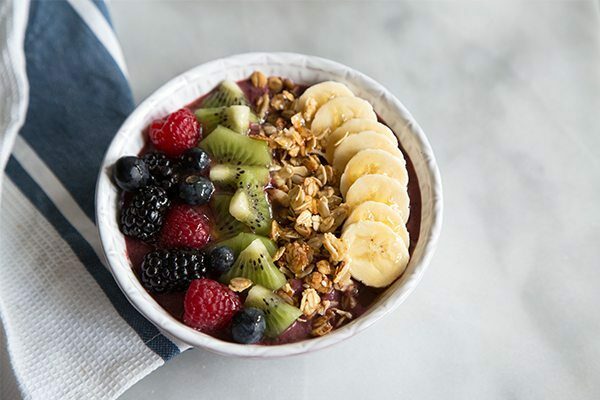 This Acai Berry Bowl is a tasty tropical vacation you can enjoy any day of the week! Acai (pronouced ah-sigh-ee) bowls are popular up and down the California coast. Just like poke bowls, they’re spreading like wildfire throughout the country. And for good reason– because they’re so refreshing and delicious. 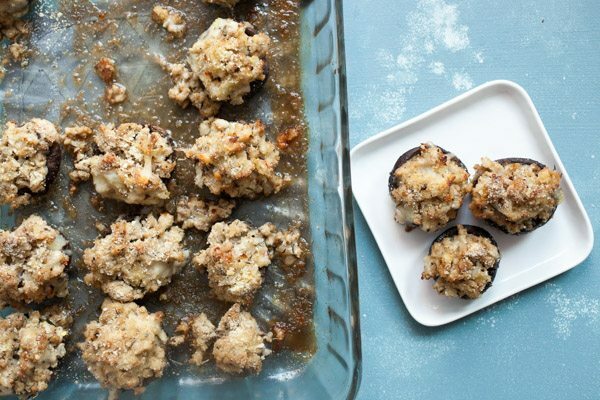 These Chicken and Cheese Stuffed Mushrooms are the perfect hearty appetizer for your next party! Having a warm, hearty appetizer for a party is always a good idea and in my opinion stuffed mushrooms are about as good as it gets! I love how versatile they are and fairly easy to make once you get the hang of it. This version starts with ground chicken (or turkey), garlic, onion, and a few spices. Cook that down in a skillet and then add in the cheese! I like Gruyere but anything melty and delicious would work great. Just like everyone else in the world, January 1st marked the beginning of a new venture to try and eat a bit healthier at my house. My husband has been rockin’ it. Me… not so much. I’m trying. I’m really hoping to carve out 30 days to follow eating completely Whole30, but I seem to be finding excuses for delay. You definitely have to be in the right mindset to do it, and I’m not quite there yet. 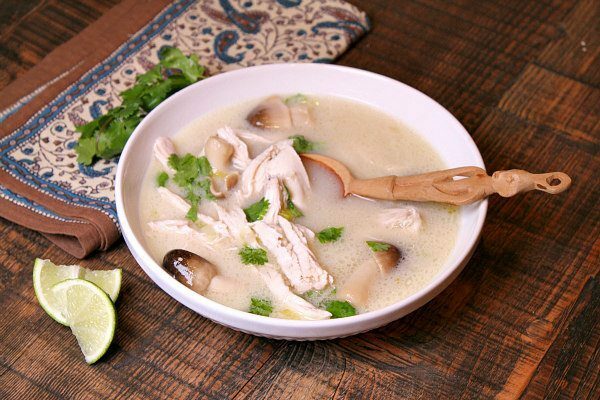 But this soup and recipes like it are a good start! Check out the latest services, health-focused Applets and powerful new experiences to help you kick off 2017 with a bang! This Southwest Spinach Salad is delicious for lunch or a lighter dinner. It’s topped with a creamy avocado dressing that comes together in just minutes in your blender! Now that we’re a little ways into January, dare I ask how you’re doing with any goals that you made for the new year? If you’re like me, you might be trying to eat a little healthier after all of the holiday indulgences. I’m trying to fit more fruits and vegetables into my meals and snacks, and salads are an easy way to do just that! This Southwest Spinach Salad is simple yet full of good things. 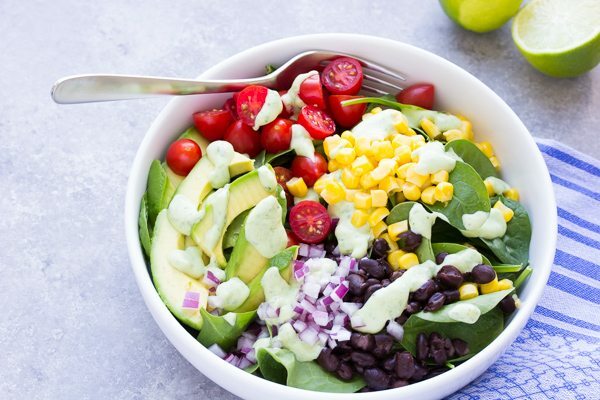 It starts with fresh baby spinach, which is topped with black beans, corn and tomatoes. I like to add a little red onion for extra flavor. 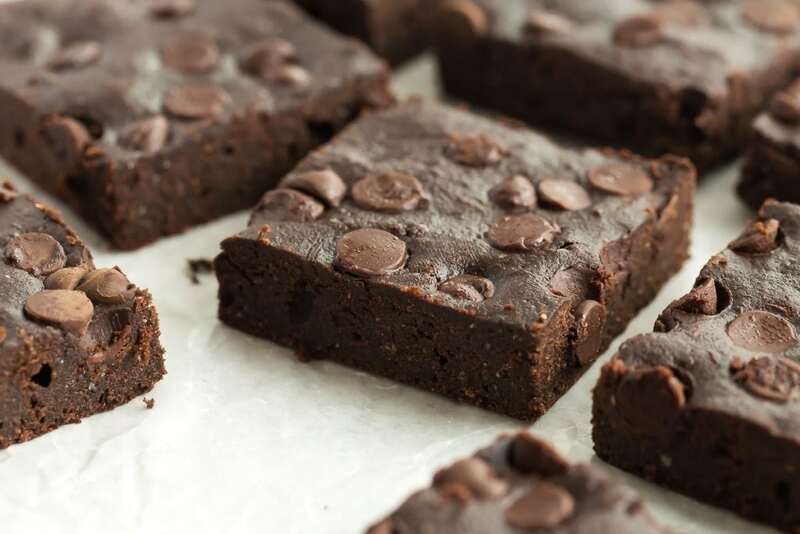 These Healthier Fudge Brownies are low fat, low sugar, and whole grain but you would never know! They are rich and chocolatey, and they make the perfect healthy treat! So here we are at the first of a New Year, and if I had to guess I’d say you’ve probably had your fair share of indulgent treats by now.